Following on the success of 100 paper planes, "100 More Paper Planes to Fly" has new planes based on four different layouts, each decorated with its own unique colours, motifs and patterns - ranging from Aztec prints to fighting tigers to sci fi. 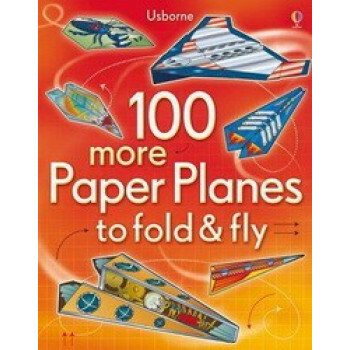 This title features clear and concise instructions on how to fold and throw the planes. Each plane is printed on its own special tear-out page.